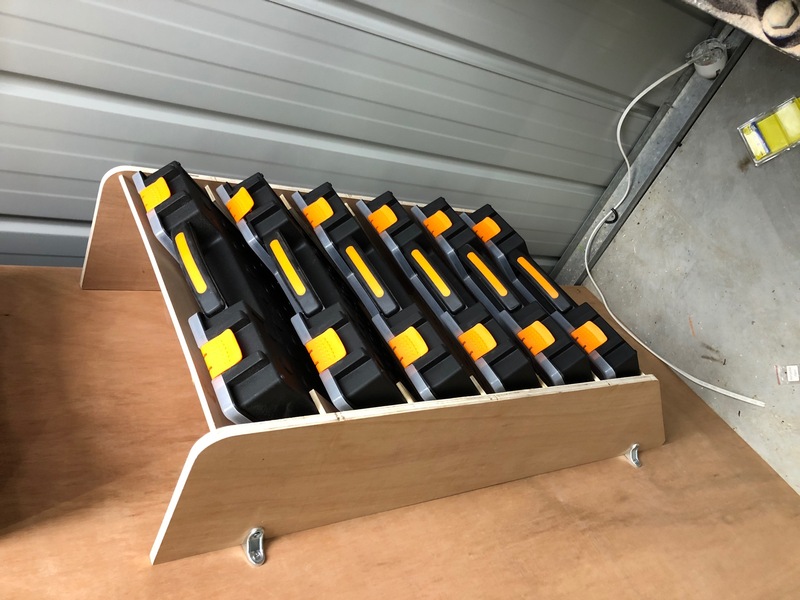 This is based on the Tactix 410mm organiser from bunnings warehouse. (410x330x60) but if you use the fusion360 file it can be adjusted using the modify parameter fields under box width, height and depth, the number of shelves can also be selected. This is all Glued together, no other fixings needed for me. I used 6mm ply for the shelves and 12mm for the sides. I have drawn a backing board in the design but I didn't use it. I used some small angle brackets and used the existing plywood wall as the backing board. If you do want a backing board, its probably easier to cut this with a table or circular saw anyway as its just a rectangle!